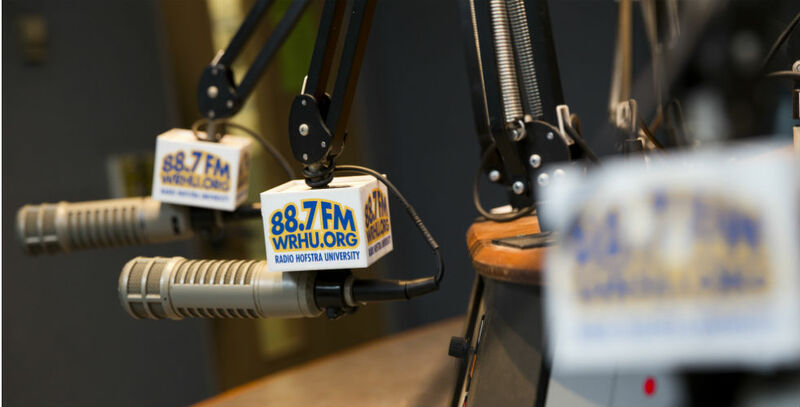 WRHU Radio Hofstra University 88.7 FM was named the nation’s best college radio station for 2018 by BestColleges.com. It won the honor based on the quality and diversity of its programming, the support it receives both on campus and in the community, and the educational platform it provides to students. The station creates “interesting, relevant, and fun programs while offering students practical experience in broadcasting,” according to the review. With studios in the Lawrence Herbert School of Communication, WRHU’s award-winning, student-run radio station was named non-commercial radio station of the year by the National Association of Broadcasters in the prestigious Marconi Awards competition in 2014 and 2017, and was ranked the best college radio station in the nation by the Princeton Review for 2015 and 2016. WRHU’s student reporters have won national and regional honors from the New York State Associated Press Association, the Press Club of Long Island, the Society of Professional Journalists, the Alliance for Women in Media, and New York Women in Communications. They have worked alongside professional journalists from leading news outlets in covering events ranging from political conventions, presidential debates, and the inauguration to major league playoff and championship games. Almost 270 students work at the station each year, as on-air talent or as producers, editors and engineers, gaining valuable experience in the radio broadcasting industry. They also have frequent networking opportunities with some of today’s most prominent broadcasters including many notable alumni.